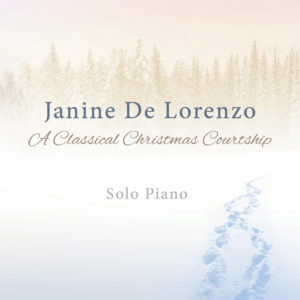 Celebrate the courtship of Classical and Christmas with this new album from Janine De Lorenzo. Featuring 12 unique solo piano arrangements, Janine’s interpretations of Classical pieces intertwined with traditional Christmas songs creates two sets of footprints in the snow as they weave together. An original composition titled December Snow is included on the album. Let the peace and tranquility of Janine’s solo piano warm you and the ones you love. 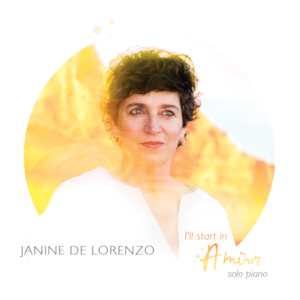 A debut album of original solo piano compositions that come from the depths of her heart and soul, this is a dedication to Janine’s piano teacher and life long friend, Margriet Pendavingh whose teacher was taught by Franz Liszt.